I just finished watching The Bones of the Buddha from PBS’ Secrets of the Dead. (That’s the GPB Passport version–best $5/mo I have ever spent!) There was a moment during the viewing when I realized that it’s anthropology and archaeology that influence why I write demi-gods, mythic people and creatures the way I do. I’ve never put much thought into why I write them the way I do, but…all that book learnin’. I probably read more books on mythology, even while anthropology also has a place in my bookshelf. 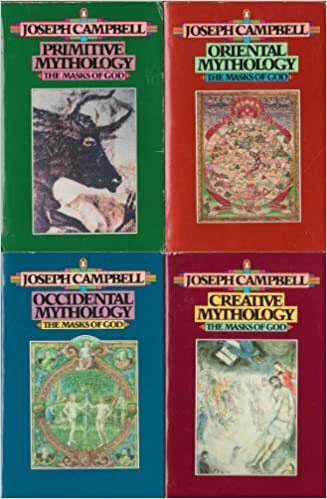 Campbell’s The Masks of Gods set certainly are one reason I have three stand alone books that build a demi-god’s arc. (The Red Khémèresh, Fate of the Red Queen, and the forthcoming Seek the Monster). One of my early beta readers didn’t understand why the landscape from one book to the next were so very different. Steppes to Jungle. Frankly, if she had ever seen the map, they’re not even on the same continent. I realized that so many gods have aspects that move through some far flung regions. I saw this anew, when I read various sections in a couple of books about the World Tree. Even in regions that had few trees, there were symbols of that same World Tree–from Mongolia, sweeping up into Siberia, and all the way into the Nordic Countries, and even further. We have all these known mythologies and ways of thinking that have subtle variations from country to country across the vastness of Russia, including some of the bleaker, less habitable places to live. And yet similar tree symbolism traveled across over time. (I might have to write about this, in a different post). There are so many echoes in mythologies. There are places, still that don’t reflect that, and we find it a surprise. It may be facile to propose the idea that we do see echoes of shared mythologies–one only has to look at the Greek and Roman mythological mergers, which included Etruscan, and various other regions around the Mediterranean to know that we do this. They are now uncovering archaeology that shows even the Dark Ages people traded and traveled from places as far flung as Italy and Britain. The Secrets of the Dead episode After Stonehenge shows one example. I was fascinated to realize that the creation of the world might have different starting points when I watched Secrets of the Dead’s Teotihuacán’s Lost Kings. I love having been shaken up by that revelation. That mythos starts with a mountain. What they discovered in the archaeology went beyond what we’d known. They had to move past the idea of an Egyptian pyramid burial to something very, very different. I won’t spoil it by telling you what, but even a year later, it still has my mind ringing with story possibilities. 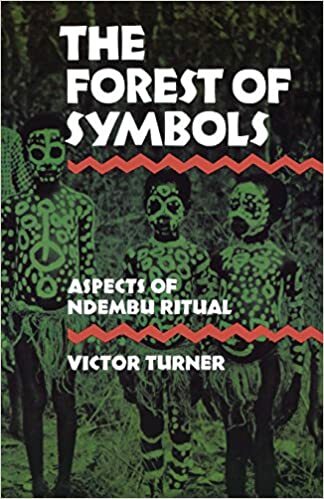 It is books like those written by Campbell, Eliade, and books like The Forest of Symbols by Turner (Part of the inspiration for the WiP Sen of the Woods), and shows like NOVA, and Secrets of the Dead, and the liveliness of dinner conversations by my father’s colleagues that helped make those things real. Of course we already know the Buddha was a real person–and a show like The Bones of the Buddha also show that there were so many other real parts to what he created. Archaeology and anthropology helped bring the emperor Ashoka back into the history books, and uncovered the incredible artwork and buildings he helped create to honor the Buddha. The Buddha was real, and the monuments and stupas built to honor him were real. They were vital and tangible, and left a real historical trail we can now see and even visit. Having allowed my imagination to dance through various book pages, and my thinking “warped” by intense discussion around the dinner table, I hadn’t thought that my fiction was where I created a world where the demi-gods were that tangible, with direct influence, but even sometimes subtle influence. I’m probably still not going to put much thought into why and how I do what I do. Frankly, I just enjoy it. I have discovered that when I try to force it, the book goes all catywumpus anyway. It’s just interesting to see. I’m no scholar, but I love these sciences and studies, books and shows that make me think. That challenge my thinking in how the world felt real to other people. At some point I do want to show, or hint at, and perhaps I already am, how trade and travel in all the cultures I’m building in Ihyell help demi-gods travel as well, and ideas, and products, and so on. I don’t know that I even need to defend why Humna (who becomes Humna-Meghel) could be a demi-god in such far flung regions as the Tashihyel and Yezgyin. Our gods did something of the sort. So did the World Tree–and trees don’t tend to travel, but their mythology does! Previous Post The Bone Reader… getting closer!